Spinnaker Opportunities announced in February it had reached a preliminary agreement to acquire cannabis oil-focused research firm Kanabo Research and its growing portfolio of activities. Spinnaker Chairman Andy Morrison explains the move towards medical cannabis, and the opportunities and challenges ahead for healthcare as attitudes towards the drug slowly shift. Can you provide a bit of background on Spinnaker? Spinnaker was set up almost two years ago as a cash shell, an investment vehicle on the main board of the London stock exchange. We raised £1.2 million in May 2017, and we started looking for businesses to acquire as part of a reverse takeover. Initially, we were looking for opportunities in the energy and industrial space. We found several businesses that we liked, but in each case, we turned them down in their due diligence period. Then, this time last year, we heard about Kanabo Research, which was in the cannabis-related space, and we were curious about it. We started to look at it more closely and talk with brokers and other market participants, as to whether there might be an appetite on the London stock market for cannabis-related stocks. We found that there could be. Looking over at what had been happening in Canada and in North America, there was clearly a big market developing there. So we felt it was in the interest of our investors to create such a market here, in the UK. What motivated Spinnaker’s decision to move into the medicinal cannabis industry? It wasn’t as alien as it sounds. I’m a chemical engineer so I’m used to refining oils into usable products, and so when we look at the cannabis business it’s about refining raw materials into usable products. So there are some similarities, although the scale is microscopic in comparison. We found that we could understand the business and that it was something that we could transact in. The main motivation I suppose was looking at the huge demand for cannabis-related products that was emerging, following in the footsteps of North America. It has taken a slightly different path in Europe, but we felt that it would be something of interest to both investors and consumers. Our task was to find opportunities, or an opportunity, that investors would be interested in and could benefit from, so that’s why we focused on cannabis. How is the company positioned in relation to the pharmaceutical industry? The cannabis space had already been touched on by the pharmaceutical industry. Companies such as GW Pharma had pushed medicinal cannabis products all the way through the pharmaceutical process. But the majority of the usage is through over the counter products – and so in Europe that mainly means cannabidiol (CBD) related products – so, often wellness-type products. Then in North America, with the liberalisation of cannabis, there are some products that contain tetrahydrocannabinol (THC) as well that have therapeutic benefits but have not been through the pharmaceutical process. Pharmaceutical companies are definitely interested in this space. So there may be opportunities, for example to use our delivery device. We have a medically approved inhalation device which could also be used for pharmaceutical products, because it offers controlled doses and consistent quality and so on. So we may find collaborations at the device end of it and we may find collaborations in the formulations side as well. So there are collaborations and also then, there’s potential competition. 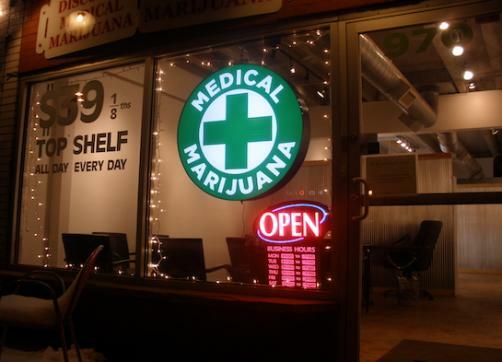 It may be that pharmaceutical companies hope to grab this section of the market for themselves. Are you focused more on the European or North American markets? We're very much focused on the European market. The origins of the technology that Kanabo Research has have come from the science in Israel, where they have been looking at cannabis for much longer than many other Western countries as there’s been an approved medicinal programme by the Israeli Ministry of Health for several years. So the science there is advanced in terms of the formulations to address different conditions. So the science and technology comes from Israel and we’re focusing on the European market. We’re not focused on recreational use of cannabis. If we did, we would not be eligible for listing in the UK and nor are we particularly interested in doing that. We feel that there’s a huge market for the therapeutic benefits of cannabis-related products – CBD and others. In what ways do you feel that stigmas and attitudes towards the drug are shifting? What do you think is driving this, and how does it affect the cannabis-based medicines space? I think there are a number of factors that have all come together at the same sort of time, that have enabled this business to grow as quickly as it has in North America, and to then spread out. One of the biggest things is that consumers are looking for more natural remedies. They’re more open to alternatives. Consumers don’t just want lotions and potions, but they do want a healthier lifestyle. The history of CBD and cannabis-related products plays to that. There’s a lot of anecdotal evidence so far. It hasn’t become pharmaceutical statistical quality yet, but there’s a lot of anecdotal evidence of the benefits of CBD, and less so of the THC-containing compounds, because people have very little access to them. So there’s a lot of anecdotal evidence of the benefits and there’s a lot of consumer demand. I also think people are questioning as to why cannabis has been treated like a drug, when tobacco and alcohol haven’t been. Some of them are legal; some of them are not legal. So I think there’s a sense of people looking at it again, finding another source of potential medicines and treatments. There’s also an interest from the pharmaceutical industry to use the plant for its medicinal properties, which were known about many years ago. In the Victorian times, before antibiotics and before aspirin, people used to use cannabis as a painkiller and I think people are thinking of going back to that. Finally I think it plays to the financial situation that governments find themselves in – so creating a new industry. Cannabis has been a huge benefit in Canada and I think the UK might find itself in a similar situation. It plays to the finance ministry. If you get the finance ministry saying ‘there’s a new business here, maybe it’s a source of revenue’, then that really helps to lubricate the whole process. The factors have just come together at the right time to enable the business to get a bit of a kick start. Do you think scepticism of the pharmaceutical industry has helped fuel interest in medicinal cannabis? I’m not sure about scepticism. I think in the same way that people look for alternatives in other fields, they don’t want to feel that it’s the only option they’ve got, and in some conditions it seems that the pharmaceutical industry doesn’t have the answers. And it doesn’t mean to say that medicinal cannabis-related products do have the answers, but people are finding that it’s an approach [they] might say that they prefer. Some people don’t want to take a cocktail of tablets – they want to take a natural remedy. I think that we’ll see a new equilibrium eventually when some of the products become more pharmaceutical. How would you respond to claims that we are currently in a ‘cannabis bubble’, and that the current hype in cannabis-based medicine is fleeting and the energy in the space will eventually subside? I think it’s quite interesting to compare cannabis to one of the other C’s – cryptocurrency. Cryptocurrency was the big thing two years ago. It hasn’t gone away but it’s certainly shown itself to be somewhat of a bubble, at least in the short term. Cannabis I think benefits, compared to cryptocurrency, because you can see the use case. Cryptocurrency use cases are few and far between – and you can’t make a business around money laundering. So the legitimate use cases are a problem for cryptocurrency. In cannabis there are clear benefits to be had, so there’s a better prospect for the cannabis business to resist becoming a bubble. Having said that, the enthusiasm of investors does wax and wane – they might get over-exuberant for a while. I think the important thing from our point of view, when we were acquiring Kanabo Research, is that we were trying to find a business that had a genuine ability to grow into its valuation, so that we don’t allow that bubble to run away from us. In some ways, for a short-term investor, a bubble’s a great thing. But we see this business as something that’s here for the long run. And we’re putting together our plans based on being able to deliver in the long run. What challenges does the medicinal cannabis industry face before cannabis-based medicines become widely accepted in healthcare systems in Europe? The main risk, but also opportunity, is the pace of liberalisation and also the direction of it. It’s not always a straight line. Meeting the requirements of various national regulatory regimes and making sure that we do so, is also a challenge. But again there’s an opportunity because every time there’s an announcement in the news that country A or B has liberalised cannabis products in some way, it will give renewed interest to investors and another boost to confidence in the sector. So I think that seems like the major challenge, but over the long run I think it will be seen as background noise rather than fundamentally altering the direction travel. Do you think Brexit will influence your business? I don’t think it’s a major driver, to be honest with you. I think you could argue it either way. If you have, let’s say, the worst kind of Brexit, or the most disruptive kind of Brexit, the UK will be on its own, looking for new ways to create wealth in the world, and this might actually be something that could play to the benefit of cannabis in the UK. And so you could see that as actually being a positive for us. If we staying much more closely aligned to Europe then we have the whole of the European market to work with, so ultimately it probably doesn’t make a difference to us. What regional differences have you found in Europe? I would say that the medicinal programme is probably more advanced in Germany than in other countries. And also Switzerland, although not in the EU – that’s another market that’s becoming a bit of a hub because it also has a big pharmaceutical industry as well. The Netherlands maybe as well. The UK is quite cautious. The CBD business is strong in the UK but in regards to the medicinal side – despite all the news surrounding well-known cases – the actual prescriptions for medical cannabis are very, very few. We’re not so much focused yet on it, but Italy is moving quite quickly and then we’re expecting during the course of this year to see movements in France and Spain. But if you were to point to one European country right now, I would probably say that Germany is the one that people look at as the biggest and most advanced market so far. What does the future of medicinal cannabis look like to you? I’m sure there will be new products on the market, through the traditional pharmaceutical routes, once these products go through the pharmaceutical approval process – but those will take some time. It may be that there are some products that can be adopted for orphan diseases, which can then benefit from a faster approval process. But in general the pharmaceutical regulatory processes will take some time. And then in the meantime, people will be using these products on a wellness basis, and then increasingly after, being prescribed medicinal cannabis. In the background of all that, you’ve got the potential for the legalisation of recreational cannabis. It’s not something we are chasing, but when cannabis is legalised for recreational use, people will self-medicate. So a lot of people who use cannabis, who use cannabis ‘recreationally’, are doing so not because they want to get high but because they perceive some therapeutic benefit from it. So people will self-medicate with it. So I think there’ll continue to be the pharmaceutical side but I think the medicinal side will grow alongside that and if there is legalisation of recreational cannabis, then that will give a big boost to the non-pharmaceutical side. As we move forward, what changes would you like to see? Our approach is that we’ll make our own luck. The whole idea of the Kanabo Research acquisition is that we want to medicalise, or professionalise, the medical cannabis business. Some people are prescribed medicinal cannabis for conditions in Israel and elsewhere. They go to the doctor and they get onto the programme and the next thing they find is they’re going to the nurse and being told how to roll a joint. It isn’t a medicinal process – and that’s one of the reasons why doctors are very reluctant to prescribe it. Even if you like the idea of medicinal cannabis, you don’t know that the flowers you’re using are going to be the same every time. You don’t know what they contain and so on. What we want to do is medicalise and professionalise that. Devices allow you to have controlled doses and specific formulations and a consistent quality, so if you take a product for anxiety or chronic pain, you know that if you take two puffs of an inhalation device, it has this effect on you and it makes you feel okay. You don’t take one and you don’t take three. Anything that takes cannabis away from being a cottage industry and agricultural product into being a medicinal product – that certainly would help us. And so that’s the direction we are trying to make our own luck in. What message would you like our readers to take away on the issue? I’m sure that they get bombarded with messages about cannabis at the moment and I think we’ve all had sixty years of being told this is bad for you, but suddenly people are saying, ‘no, maybe it’s good for you’. Let’s have an open mind about this. Let’s take another look at the ways through which cannabis can work with pharmaceuticals and maybe in some cases work instead of them to get better patient outcomes. But it’s a process of education both ways. There’s a lot of education to do. We can’t expect doctors to suddenly become knowledgeable about these things. And I’m sure, from the pharmaceutical side, there’s a lot to be learned by the cannabis industry and professionalising and medicalising the whole approach. It’s about trying to listen to each other and finding the best way forward for patients. Protecting public health: Is real-world evidence the key?